Hi bloggers, this is not my first card and it wont be my last. This post was for the challenge buttons n bows, it didn't take me long. 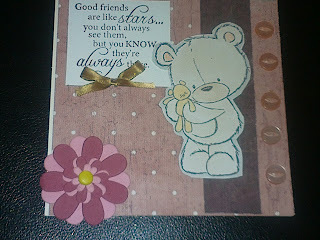 I used Fiskers Friendship Quotes stamp set, a light brown ribbon to make the bow and the rest from mums stash. Hi everyone my name is Caitlyn, let me tell you a little bit about myself and my interests. 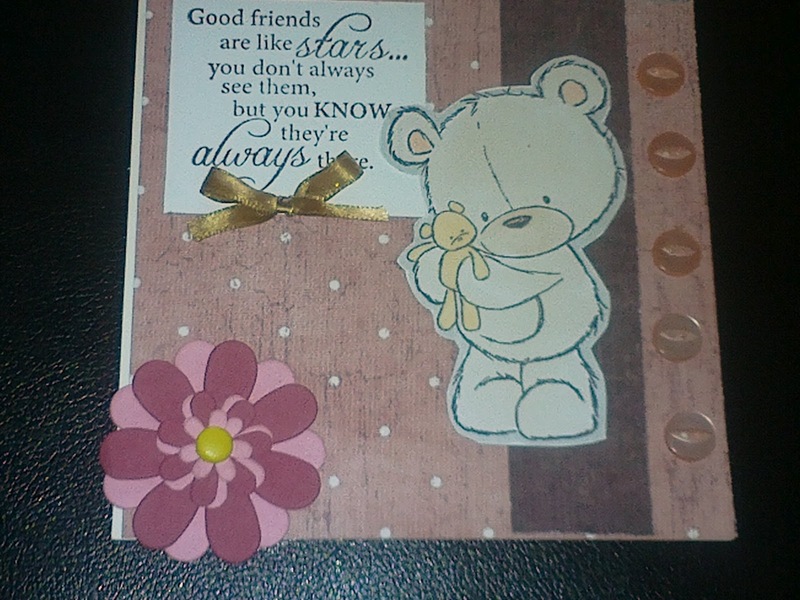 I am 13 and still in school, I enjoy art, Drawing/sketching, Cardmaking and Jewellery to name but a few. I also LOVE music (I get that from my Mum lol) and drama, my parents call me a drama queen at times, so I tend to live up to it =D. I hope you enjoy looking at my blog, I appreciate any and all comments you leave and please feel free to become a follower.